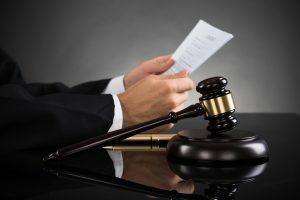 In a recent ruling in a non-compete agreement case, United Stated District Judge William J. Martini declined to lift an injunction prohibiting two former employees of ADP from soliciting the company’s clients on behalf of a competitor. Notably, however, the judge did not prohibit the employees from working for the competitor. The two employees, John Halpin and Jordan Lynch, each participated in ADP’s stock award plan for five consecutive years. To participate, they both had to click on an electronic box to acknowledge that they had read related documents. Those documents included restrictive covenants which state that the employees cannot: (1) solicit certain clients and prospective clients of ADP for one year after they stopped working for the company; (2) disclose any of ADP’s confidential information; or (3) use ADP’s confidential information regarding the identity of the company’s current, past or prospective clients. In addition, Mr. Lynch signed a separate “Sales Representative Agreement” that included similar restrictions. After Mr. Halpin and Mr. Lynch left ADP, they each began to work for one of its competitors, The Ultimate Software Group, Inc. (“USG”). ADP sued Mr. Halpin and Mr. Lynch, asserting that they had violated their restrictive covenants. It also sought a preliminary injunction to prohibit them from working for USG and from soliciting ADP’s clients. The two former employees made numerous arguments in opposition to the injunction, including that they never actually read or agreed to the restrictive covenants. The Court further concluded that most of the non-compete and non-solicitation provisions are likely to be enforceable against Mr. Halpin and Mr. Lynch. Accordingly, it ordered them not to solicit any of ADP’s current customers or any of its prospective customers who they learned about while they were working for ADP. The Court also enjoined them from using any of ADP’s confidential or proprietary information. However, the Court did not prohibit Mr. Halpin or Mr. Lynch from working for USG. Rather, it concluded that it would be inappropriate to issue such a “severe restriction” so early in the case. It also refused to prohibit them from soliciting ADP’s prospective customers who Mr. Halpin and Mr. Lynch did not learn about as a result of working for ADP. Mr. Halpin and Mr. Lynch subsequently asked the court to reconsider its decision. On September 8, 2016, in ADP, LLC v. Lynch, the court reaffirmed its previous ruling, finding no basis to overturn it.